As we know, 10k+ users can see deleted posts and vote for their undeletion. And, anybody can see his own deleted posts, and over some reputation (s)he also have a vote to un-delete it. I have a purely theoretical question from pure curiosity. What happens, if the deleting mod is later de-modded? Will the posts (s)he deleted become undeletable again? It is clear only from a programmer viewpoint. We don't know the internals of the SE software, maybe they are handled differently. I think, this direction is much more important/interesting, because it could make posts public again, which shouldn't be ever publicized. On these reasons, I don't think the other question would be an answer. Next to these: The answers there contain only opinions, which are agreeable probably for everybody, but don't contain real information about this possibility. Here's a question where this is demonstrated. It was closed by a mod, then years later deleted by a mod. Neither are mods now, but I'm able to cast reopen and undelete votes. Is moderator retirement supposed to affect possibility of undeletion? It's obvious that this is how the system works - the bindingness of votes is determined when the question or answer is displayed, and not some intrinsic vote type. Once someone becomes a moderator all their previous votes are treated as moderator votes, and once someone retires all their previous votes are treated as regular votes. This won't reopen or undelete questions, though, even though they normally require 5 votes to close, for instance. 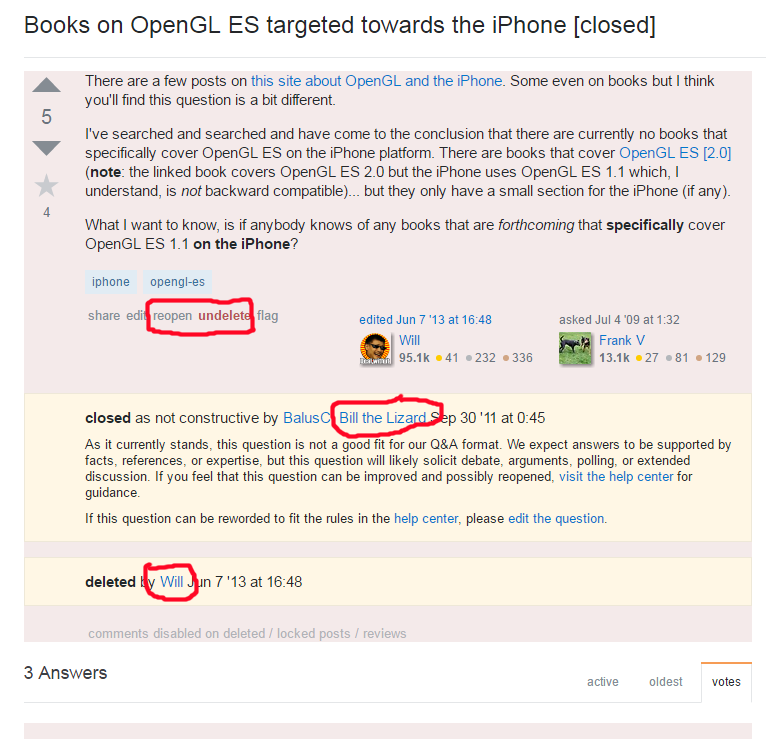 The status of the question remains the same, but the actions available to other users in reversing moderator decisions is changed. None of the questions posed above provide insight as to why Stack Exchange has chosen this method. It's possible it's simply due to the way moderator powers were an extension of reputation powers, which are checked each time, and since a reduction in reputation reduces powers then it would follow that the same happens to moderators. However I don't think that's necessarily a good design - it may simply be an accident of development inertia. A decision made by a moderator isn't meant to represent that moderator - it's meant to represent the moderator team, and shouldn't necessarily go away just because the person moved on. Alas, no one from Stack Exchange has chimed in so we don't really know if this is by design, or simply how it was implemented at the time and never revisited once moderators started resigning. Not the answer you're looking for? Browse other questions tagged discussion deleted-questions deleted-answers moderators moderator-abilities . Can a user undelete an answer that was deleted by a moderator? Does temporary suspension remove mod powers?